Finding your way through all the data available to better serve customers and manage your company is a a challenge. Volumes of data, and the number of channels through which that data flows are exploding. 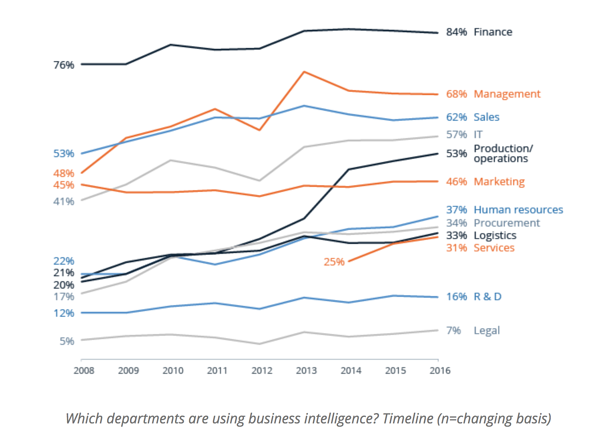 Modern Business Intelligence (BI) and analytics continues to expand more rapidly than the overall market, which is offsetting declines in traditional BI spending. Modern digital sales strategies for the outdoor industry include modern analytics platforms that emerged in the last few years to meet new organizational requirements for accessibility, agility and deeper analytical insight, shifting the market from IT-led, system-of-record reporting to business-led, agile analytics including self-service. No matter what marketing and sales software you may be using in your outdoor company sales enablement strategy, most of them fall short on a critical element: robust business intelligence reports that you can monitor in real time and make changes in strategy without waiting for someone to create a spreadsheet and write a summary. There is a huge gap between marketing solutions software and data visualization tools still persist. There remains a disproportionate gap between quality marketing solution products and the relatively lightweight data reporting and visualization components that come with these tools. In the meantime, as a decision maker who is held accountable for the strategic initiatives your company is undertaking, there are separate "plug-in" software integrations that will deliver what you need. What is a Business Intelligence Tool? You won’t find any of the crucial competitive, demographic, or geographic metrics that you’d find in the Adwords interface. As I said, this won’t be an issue for most people, but for your advanced users who are well beyond the basics; this will be a huge inconvenience. These limitations carry over into the analysis and reporting side of things. You’re fine if you stick to basic “and / or” logic, but if you want to layer the two on each other to get really specific results. The same goes trying to use a customized list to feed a dashboard widget. This leads us to the group of outdoor company sales enablement technology solutions that fill this void. Enter business intelligence tools. 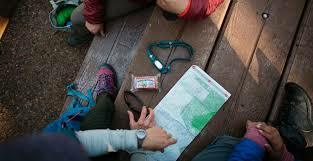 Business intelligence tools are being implemented across departments in outdoor industry companies. This style of product, more often than not, is brought on to replace the basic reporting that marketing and sales software provides. To boil their functionality down to simple terms, they aggregate, compute, and display data. These solutions come in a variety of flavors from cloud-based SAAS solutions to on-prem server deployed setups. The holdup, says computational thinking pioneer Stephen Wolfram, is twofold: accessibility and integration. In truth, our most useful data is not being captured in a way that makes it easily accessible – whether it’s stored out of reach or exists in a form that hinders any kind of actionable insight. We’re not asking much, really. We simply want to be able to ask questions of our data and get useful answers. As with any software vertical, different solutions offer different levels of service and functionality at different price points. In this particular space that usually boils down to the level of visual customization data manipulation abilities, connections with other apps, and ease of deployment. Some of the big players in the space are Tableau, Domo, and Databox. Since we’re talking about HubSpot, which tends to cater to small and medium-sized businesses, we’ll discuss a business intelligence tool from a similar weight class, Databox. To use their words, “Databox is a business analytics KPI dashboard. It gathers all your metrics in one place and helps you deliver the crucial KPIs across multiple devices.” Databox is a fantastic, lightweight, user-friendly platform that plugs the holes in solutions like HubSpot. Databox features a large selection of data source connectors and all the KPIs you could want from those sources. With those KPIs, also comes the ability to set goals and alerts, whether good or bad. You can’t do that in HubSpot. As far as displaying those metrics goes, customization is the name of the game at Databox. Select the source, select the metric, and you're done. They have a plethora of chart types and their datawalls allow you to structure dashboards in an infinite number of ways. They’re also extremely mobile friendly. Need basic calculations that you can’t get in HubSpot? They can do that too with a simple query builder. Now Databox doesn’t have all the bells and whistles (yet, keep an eye on these guys). Advanced logic operators and cross-tabular functionality are found on heavyweight tools like Tableau. The bigger point here isn’t that you can find the functionality lacking in tools like HubSpot in business intelligence solutions. What I am getting at is if platforms really want to capture every available dollar within the sales and marketing universe, all-in-one solution providers can’t ignore this gap in functionality. Data aggregation and visualization is a critical piece of any business. Until providers realize this and expand into this particular space they’ll be missing out on easy money. HubSpot and tools like them are headed in the right direction. This industry isn’t one that will always be able to support numerous one-off solution providers. Look back five years. How many of those VC funded startups have been picked off and purchased by the mainstays? It’s only natural. Don’t make me have to keep switching between browser tabs. It’s really annoying.